A decade ago, Ravi Drugan was struck by a train; the injuries left him a double amputee. At the time of the accident, he was 15 years old and admits that he wasn't yet the strongest skier. He was, however, immersed in ski culture. His dad had been skiing since he was two years old, and watched Warren Miller ski films with Ravi all the time, including some with early '90s daredevil icons like Glenn Plake—who he still counts as one of his heroes, because, Drugan explains, "He does what he loves, and how he wants to and has fun doing it." But four years passed after the accident before Drugan was persuaded to return to skiing—and even then he was a bit hesitant. 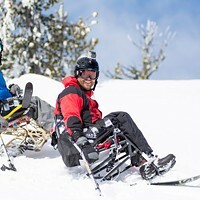 Oregon Adaptive Sports (OAS) set him up with an instructor, Ben Sparrow, and a half-day lesson at Hoodoo Ski Resort. 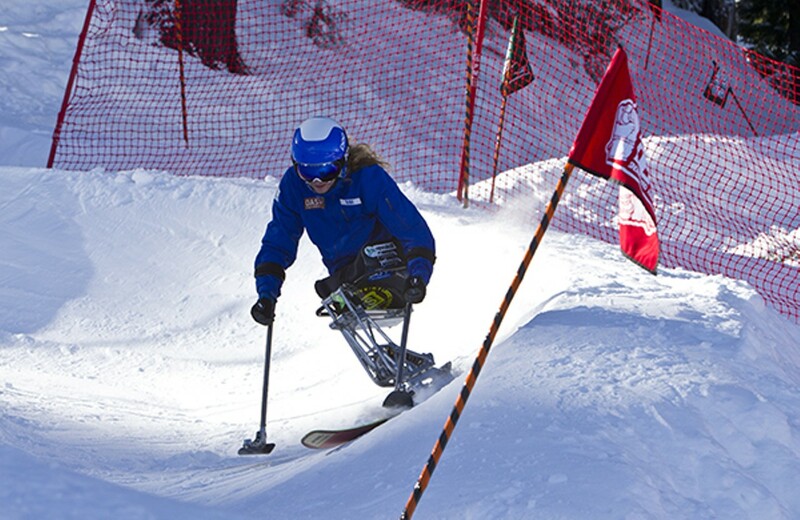 "At first," Drugan says, "I did not think skiing on one ski was gonna be easy or even much fun." Though, he adds, "But I kept a open mind." By noon that day, Drugan was hooked. He explains, "After lunch, my dad and I went to the top of Hoodoo and I was skiing black diamonds with my dad; just me and him the rest of the day till last chair." Since then, Drugan, now 25 years old, has been nearly unstoppable. He trains on Mt. Bachelor and has already competed twice at the Winter X-Games. On Thursday, Jan. 22, he will compete for the third time in the Mono Skier X race, this time, in Aspen. Drugan says that he is ready for the cameras and crowds. When asked what will define victory at the upcoming competition, he doesn't hesitate: "Getting the gold," he plainly states. He provides the standard line that his main competition "may be just myself," but then goes on to point out two Canadians, both who have previously won gold, and gives some of his technical assessments for the upcoming race. "I am one of the lightest," he says, "Some of the guys have a good bit of weight on me." Drugan is joined at the X-Games by brothers Ben and Gabe Ferguson, from Bend, who both are competing in the Snowboard SuperPipe. 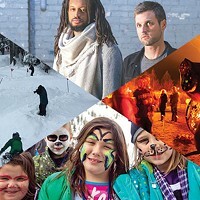 The Winter X-Games will be televised on ABC and ESPN. OAS is hosting a viewing party, 1 pm, Thursday, Riverbend Brewing.